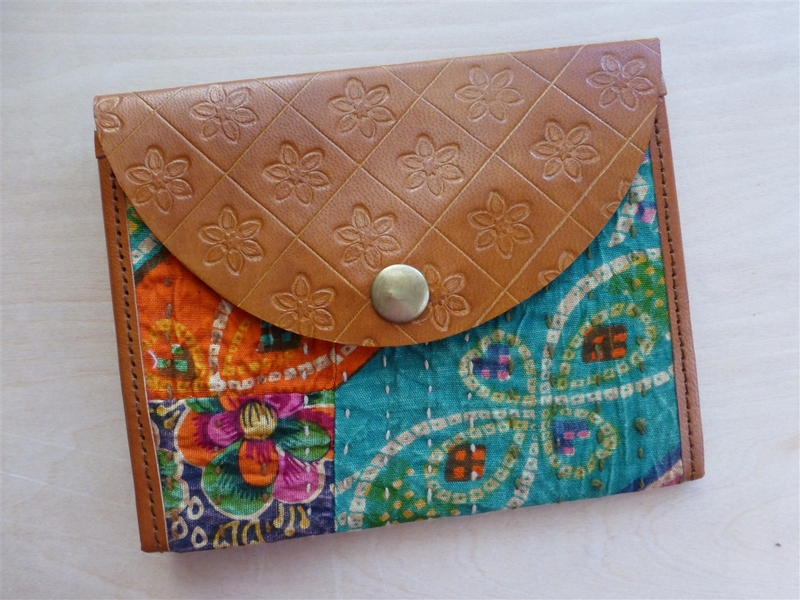 This romantic, fun, floral fabric and leather organizer can be a wallet, passport holder or both. 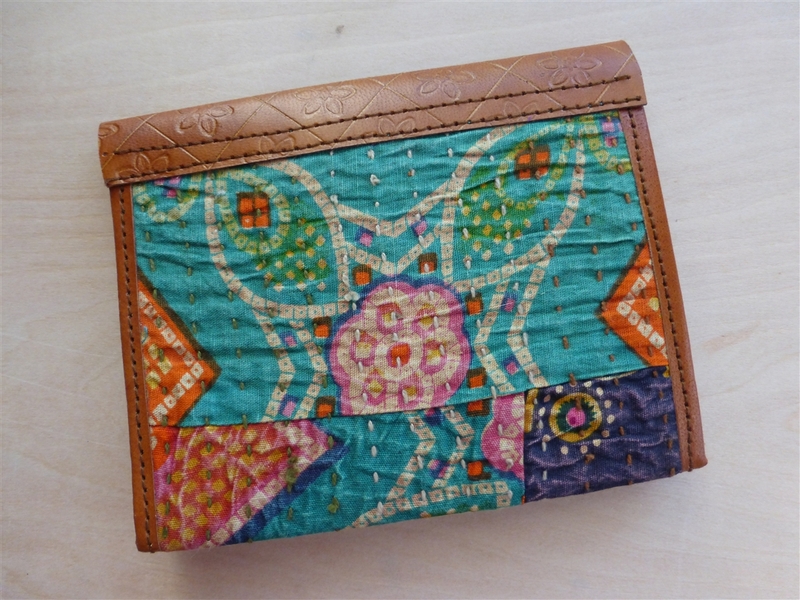 Inside pockets hold cash, credit cards and ID. Made from cruelty-free leather to include brass button closure. 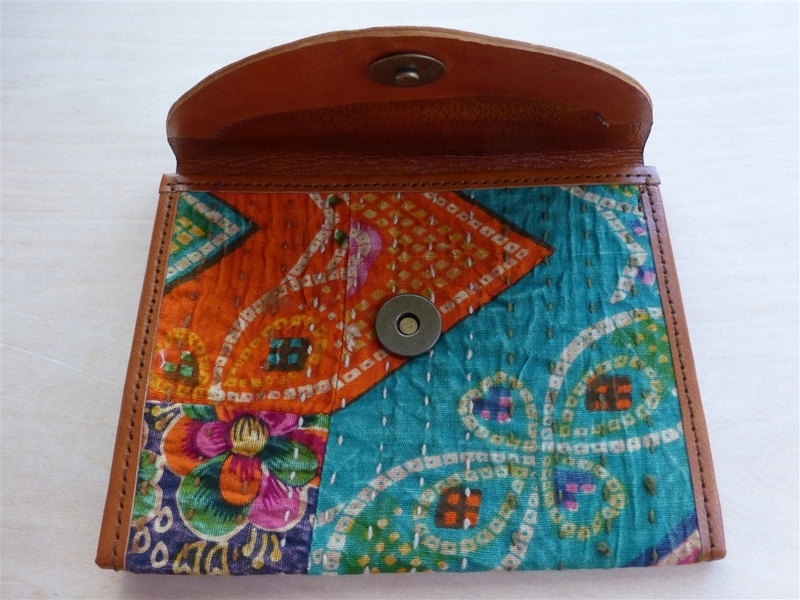 Size: 4.75" x 6.25", 12.75" Handmade by artisans working with Eco-Friendly Papers cooperative in Rajasthan, India.